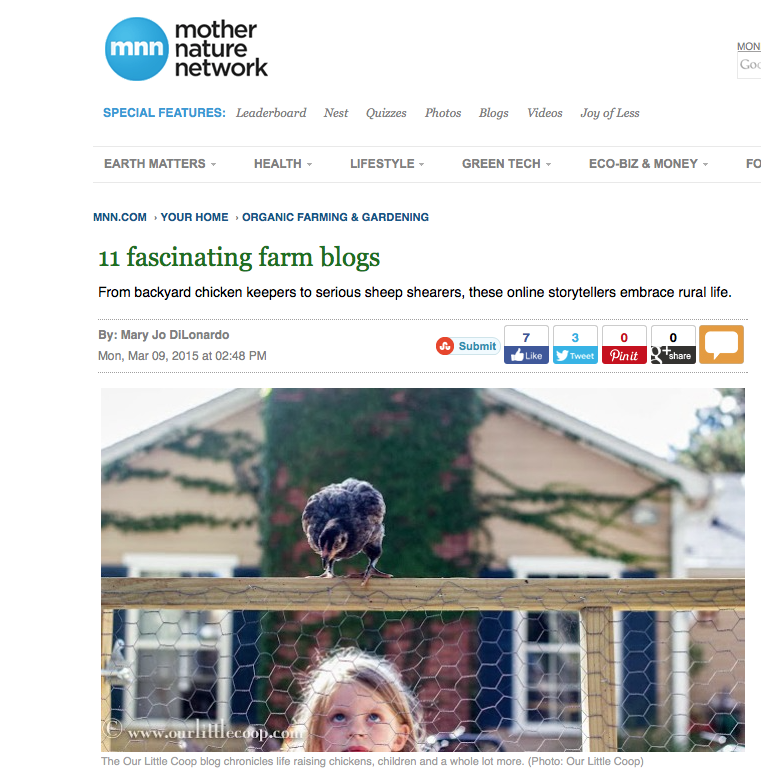 Mother Earth News just named Our Little Coop as one of 11 Fascinating Farm Blogs! We feel pretty honored. Thank you MNN! Love your blog and I'm honored to be in such wonderful company. Stopping by from the Mother Nature Network article. We're making syrup, too!